I am a member of the Collective Bias® Social Fabric® Community. This shop has been compensated as part of a social shopper amplification for Collective Bias and its advertiser. Valentine's Day is just 13 days away. Although it's not a priority holiday for me, it is still nice to plan a delicious dinner and remind your special someone (boyfriend/girlfriend/spouse/parents/siblings/friends) that you care about them. Sometimes I go all out, creating themed desserts, other times I keep it simple and fun. 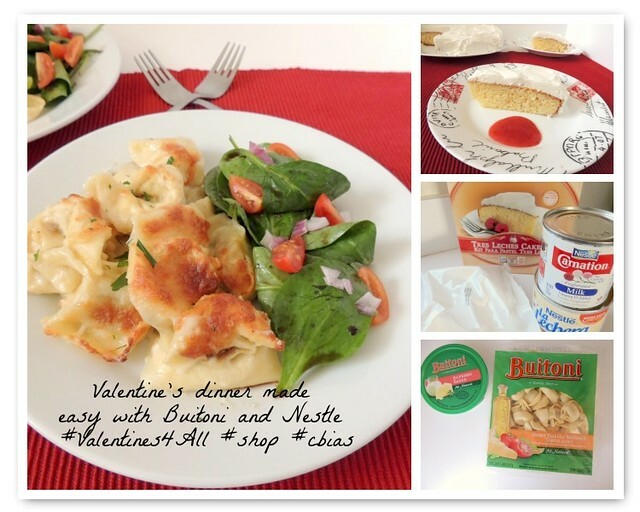 If you're new to cooking, or don't have much time to spend on dinner, I'm going to show you how to create a fun and delicious meals with Buitoni and Nestle products. I went to the Garfield, NJ, Walmart Supercenter to purchase Buitoni Sauces and the Nestle Tres Leches baking kit. 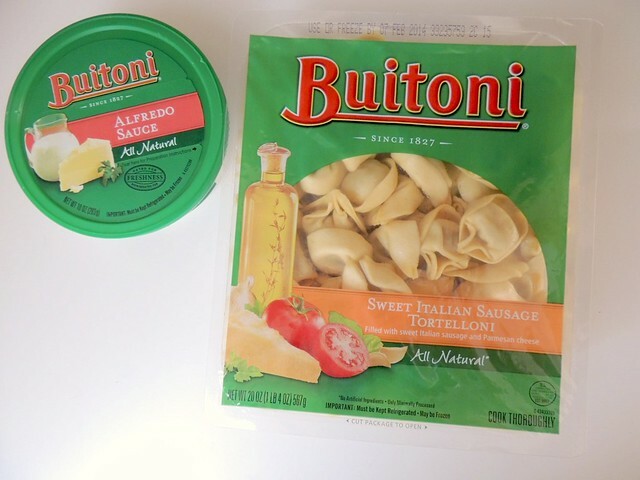 For whatever reason, the Buitoni fresh pastas and sauces are located at the front of the store, by produce, which I walked right by on my way in. Picture me wandering the store like a goof wondering why I couldn't find any Buitoni products. 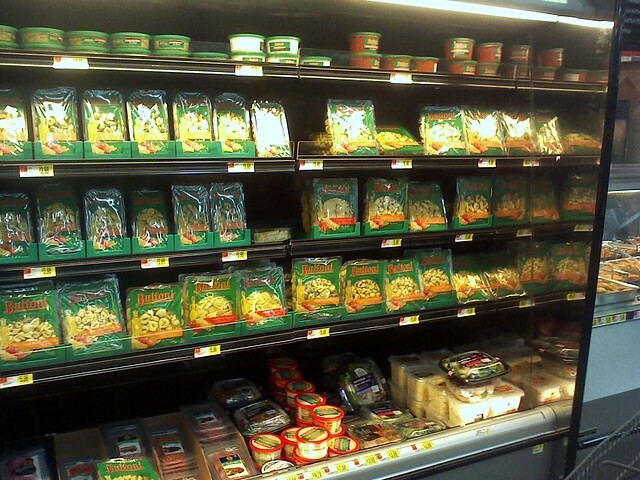 Anyway, eventually I found them and got the Alfredo sauce and a package of sweet Italian sausage tortelloni. The tres leches kits were found on the special baking display in the middle of the aisle, by the baking aisle. For the pasta, I immediately knew I wanted to recreate a "drooling gnocchi" type of dish, only with the tortelloni. 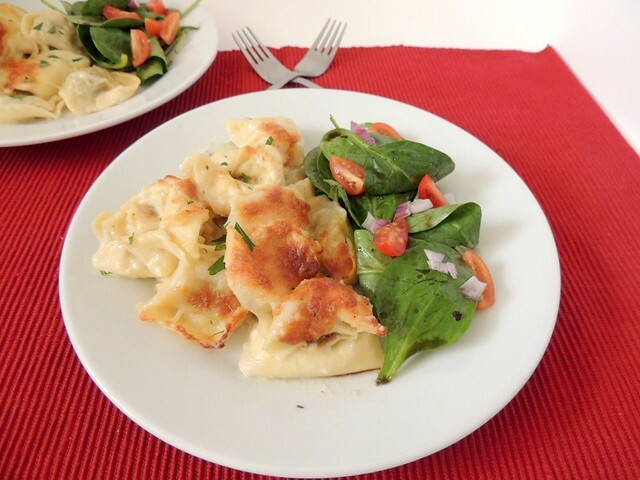 For drooling gnocchi, pasta is coated in a rich sauce made from butter, heavy cream, chicken broth, Parmesan cheese, and more cheese sprinkled on top. Alfredo sauce is practically all that, cutting down the bulk of the work. 1. Preheat oven to 450°. 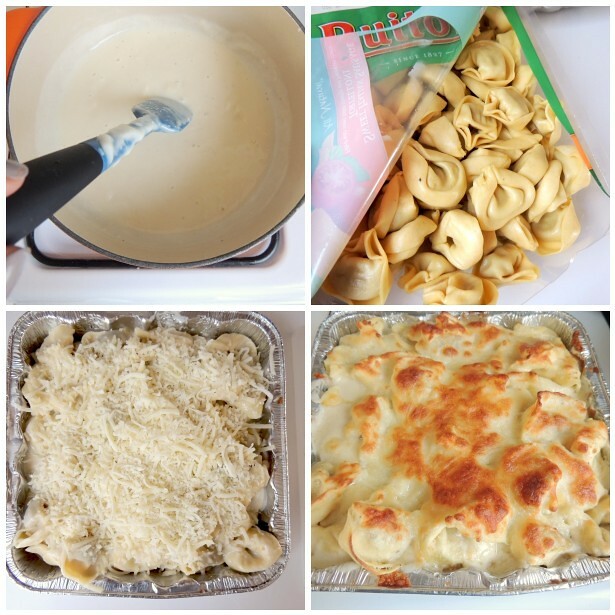 In a saucepan large enough to hold the cooked pasta, warm the Alfredo sauce over low heat. In another pot, cook pasta in boiling water for 7 minutes. Drain and toss in Alfredo sauce. 2. Transfer pasta to a greased 9" baking dish. Sprinkle with 1 cup Italian blend shredded cheese. 3. Bake for 15 minutes, until top is browned and sauce is bubbling. 4. Let cook for 5 minutes before serving. Serve alongside a simple spinach salad. The finish dish tasted incredible. The sauce didn't need any extra seasoning, and I thought the pasta was delicious. 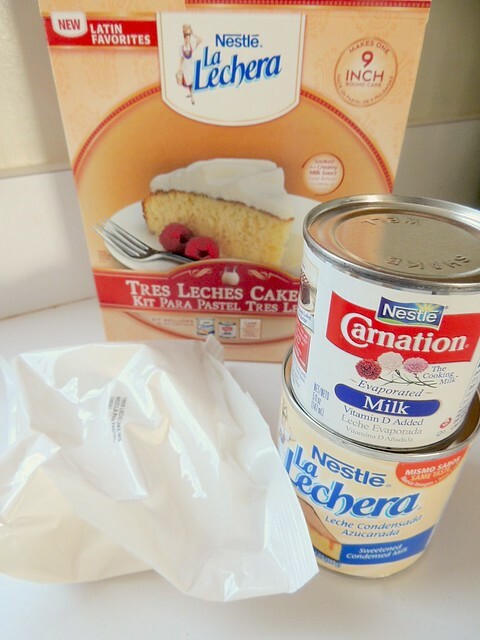 The tres leches cake kit makes a difficult cake simple. 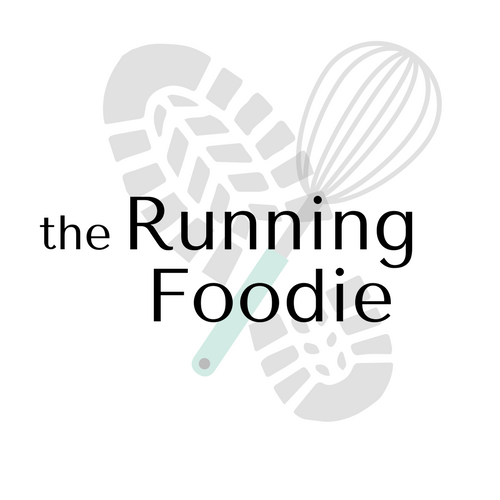 All the components (besides fresh ingredients) needed are provided in the kit. 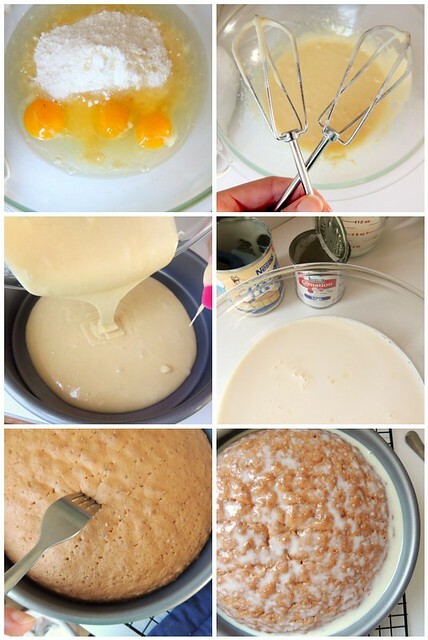 Combine the cake mix with eggs and oil, beating until smooth. Lick beaters. Pour into prepared cake pan and bake. As cake bakes, combine the condensed and evaporated milk with whole milk. I reduced the amount of whole milk from 1 cup to 1/4 cup. After cake has baked and cooled briefly, poke surface with fork. Pour milk mixture over cake and let stand until cake absorbs all the milk. Cover and refrigerate for at least four hours. I ran into a little trouble removing the cake from the pan. I wasn't thinking or else I'd have lined the pan with parchment. Oh well. 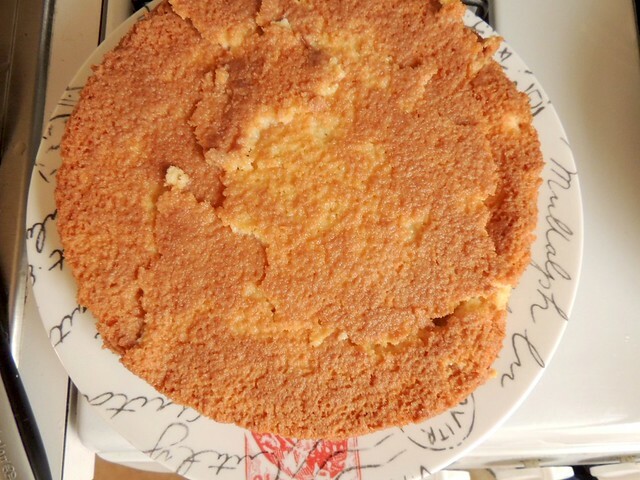 After a little effort (banging on pan), the cake eventually loosened and came out, though not in one piece. No matter, as the whipped cream hid my mistake. 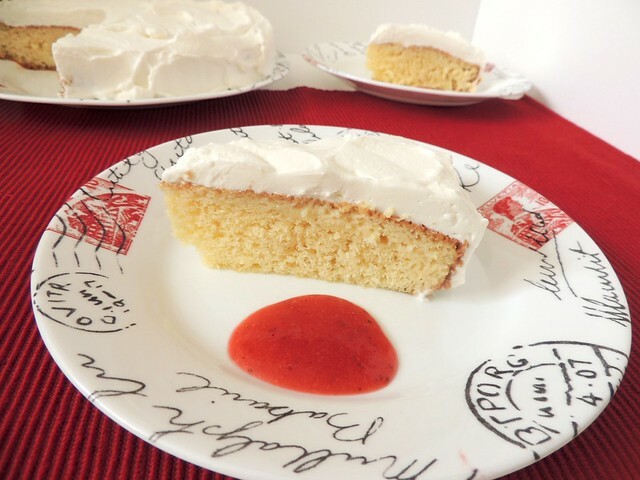 While the cake alone is tasty, it needed an extra Valentine's Day pizazz, so I made a simple strawberry sauce. All you have to do is puree 1 cup thawed frozen sliced strawberries until smooth, pouring mixture through a sieve to remove any seeds. Add a dollop or two onto the plate. Looks delicious, doesn't it? It was! The cake was very moist. 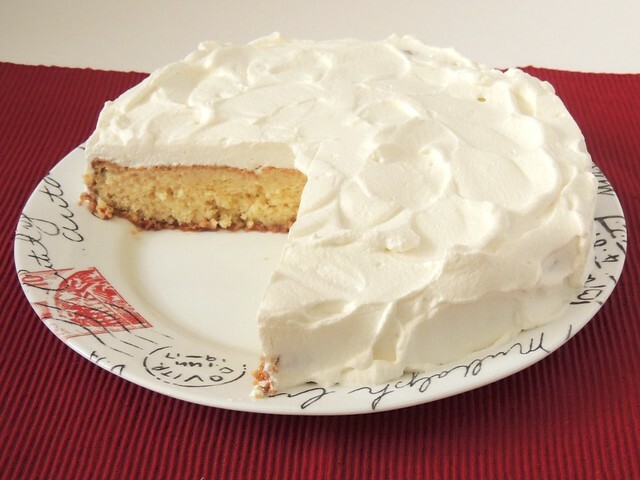 I've never made a tres leches cake, if you can believe that, and this has inspired me to make a completely homemade one in the future. But for now, this cake mix is pretty tasty and easy. That's all it takes to create a special meal! Let me know if you've tried these products, and what you think of them. You could be qualified to get a $250 Walmart Gift Card.